Balzer + Bray, 9780061802362, 288pp. In the right dose, everything is a poison. Even love . . .
Jessamine Luxton has lived all her sixteen years in an isolated cottage near Alnwick Castle, with little company apart from the plants in her garden. Her father, Thomas, a feared and respected apothecary, has taught her much about the incredible powers of plants: that even the most innocent-looking weed can cure -- or kill. 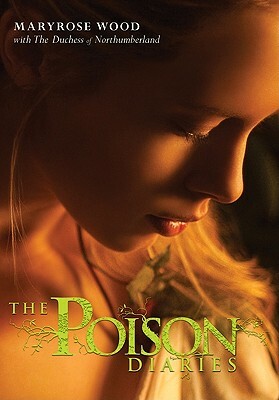 When Jessamine begins to fall in love with a mysterious boy who claims to communicate with plants, she is drawn into the dangerous world of the poison garden in a way she never could have imagined . . .
Maryrose Wood is the author of the first five books (so far!) in this series about the Incorrigible children and their governess. These books may be considered works of fiction, which is to say, the true bits and the untrue bits are so thoroughly mixed together that no one should be able to tell the difference. This process of fabrication is fully permitted under the terms of the author's Poetic License, which is one of her most prized possessions. Maryrose's other qualifications for writing these tales include a scandalous stint as a professional thespian, many years as a private governess to two curious and occasionally rambunctious pupils, and whatever literary insights she may have gleaned from living in close proximity to a clever but disobedient dog. Jane Northumberland is married to the twelfth Duke of Northumberland and is mistress of Alnwick Castle. The earls and dukes of Northumberland have lived in Alnwick Castle for seven hundred years. The Duchess has spent the last fourteen years creating beautiful public gardens in the grounds of the castle and, because of her fascination with and knowledge of poisons, has created the world-famous Poison Garden. Alnwick Castle and the Alnwick Garden are the most popular tourist destinations in the north of England, attracting more than 800,000 visitors each year.